Quite right, I probably should have watched the trailer first. Ho hum. 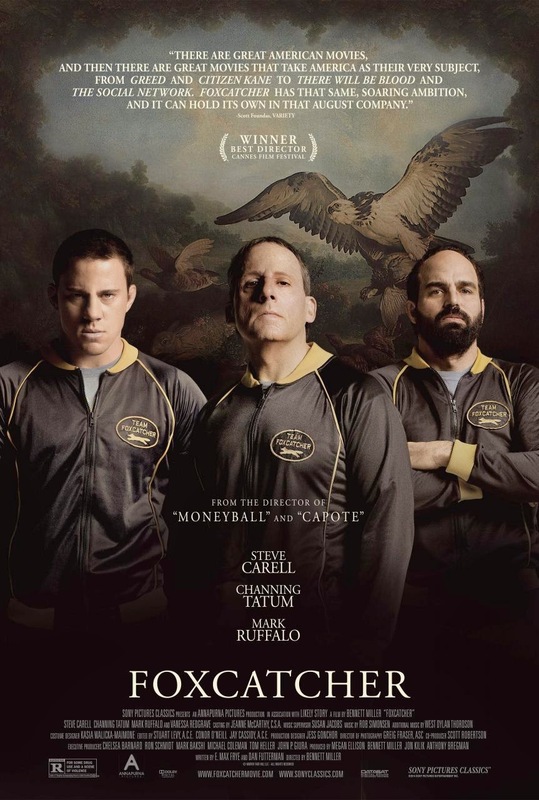 For those like me who were only vaguely aware of the story behind Foxcatcher, it concerns two Olympic champion wrestling brothers (Tatum and Mark Ruffalo) and bonkers Millionaire John du Pont (Carell). Sounds weird? Try watching it. It's based on proper real events, when in 1987 du Pont decided to become the wrestling mentor to the American Olympic pool, starting with Mark Schultz (Tatum) and later his brother Dave (Ruffalo). And because he had oodles of cash, no one thought this was a bad idea. So first Mark and some faceless hopefuls are whisked off to Foxcatcher farm, and then later Dave is brought in to train them under du Pont's watchful eye. Seriously, this is the plot. The fact it's based on real events just makes it weirder. And weird this definitely is. It essentially only has the three main stars in it. Vanessa Redgrave pops in as du Pont's mother, there are a few other people kicking about, but the film is only about the three men. I mean looking at your watch within the first hour drags. And it's so one-paced - to the point that if it slowed down it would actually stop. It just never gets out of first gear. Not even when the shocking thing happens (I can't say. Don't look it up unless you're not going to watch the film). Despite this, the three leads put in the performances of their lives. Carell is unrecognisable as the oddball with the dosh, while Tatum is a near-revelation as Mark Schultz. I mean sure, he can kind of act, but this well? Really? Between the two stands Ruffalo with a performance so perfectly measured that the balance between the three is perfect. So why the hell does the film feel so flat? 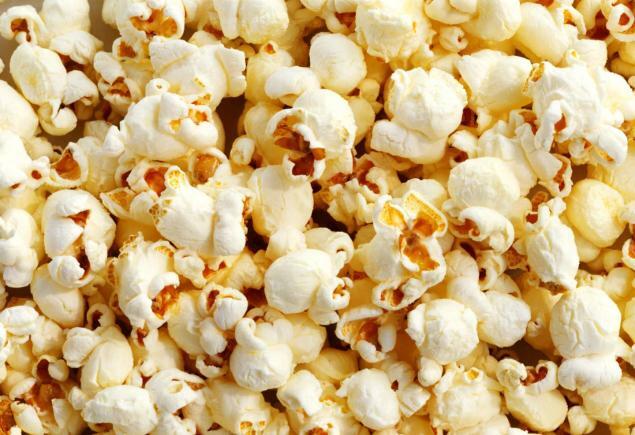 How can you be mesmerised by the performances in a film that you have to force yourself to watch? And, while we're asking questions you won't want to answer, did they actually underplay just how nutso du Pont was? Reading up on him afterwards (again, don't do this if you're planning on watching the film as it will spoil everything) he was a grade A member of the tin foil hat brigade. Carell conveys the creepiness and weirdness well, but is seriously let down by the writing - because he could have done so much more. And I say that fully appreciating just how good he is in this film. Because - and I can't stress this enough - he is stunning. I've no idea if this is how the actual wrestling fancier walked and talked, and to be honest I don't care. Carell so deserves that Oscar nomination. We could even do with an award for Best Performance In A Worst Film. The more I think about Foxcatcher, the less there is to think about. There are no themes to explore, no subplot, no subtext (OK, there's the gay wrestling bit, but that's not 'sub' anything - it's laid bare, in almost every sense of the word). This film is just telling the story. And somehow making the story dull. No judgements are made, no one is painted as a bad guy or a good guy, they're just guys. Who wrestle well. Which is a crying shame because, on further reading, there's one hell of a story to tell. This is the very epitome of truth being stranger than the fiction that's been created.